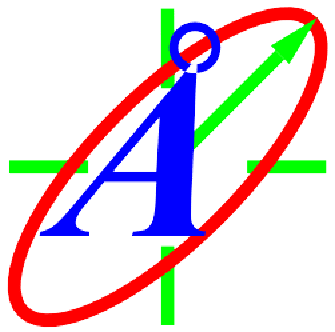 Materials Research Equipment is an open access directory of companies offering materials processing equipment, material analysis equipment, materials characterization equipment, materials testing equipment and other material science laboratory equipment. Companies that offer analytical services, materials testing services or R&D consulting services can also list and promote their services here. Furthermore, the directory offers a platform for R&D software suppliers, including calibration software, data acquisition software, imaging software, laboratory software and process control software. Please also visit our Equipment News section for information on new and innovative products from our listing companies. Short Business Description: TSS Microscopy provides electron and ion microscopes – meticulously remanufactured to their original OEM specifications – to labs around the globe. 315 tools sold since 2003. TSS Microscopy started operations in 2003 as Technical Sales Solutions, a company founded to address the growing need for cost-effective options that allowed more labs to obtain high-performance SEM and FIB. Since then, with hundreds of SEM, TEM, FIB and dual beam installations completed worldwide, we’ve grown our team and our support offerings to become more than an equipment re-seller. We are proud to now be a full-service solution provider in the electron microscopy market. Remanufactured instruments are a great way to stretch budgets while still enabling leading edge research. We also support customers with accessories, consumables, service and training and alleviate uncertainty about investing in a pre-owned equipment. Whether buying or selling, we stand with you at every step of the process. We can handle all the logistics – from consulting, packing and crating, delivery, and installation, to comprehensive training, warranty, and reliable after-care maintenance. Our inventory features microscopes from all major manufacturers, enabling us to focus on finding the instrument solution that is right for your application needs. Short Business Description: 10 Angstroms sells and services the complete line of Elionix electron beam lithography (EBL) products in North America. 10 Angstroms sells and services the complete line of Elionix electron beam lithography (EBL) products in North America. Deep Cryogenic Tempering allows for a significant increase in abrasive wear resistance and durability for many metal-based objects. There are also a few other materials which benefit from the process and we're always experimenting with companies around the globe to see if we can help improve all sorts of products. The increases we've seen in tensile strength, toughness and stability may couple with the release of internal residual stresses for different components, and some metals respond better than others. The typical end results observed by our clients include increased product life, increased durability, reduced breakage, easier cleaning abilities, and some very specific enhancements that are dependent entirely upon the project. Many changes are dependent upon the type of steel or metal used in a product, in addition to how a product was formed or created. Aabspec's products support ultra-high temperature spectroscopy (to 950 C for solids/450 C for fluids); low-temperature spectroscopy (to -170 C); high pressure spectroscopy (to 10,000psig); vacuum spectroscopy (to 10-8torr); transmission, specular and large angle reflectance; irradiation (UV, etc); Raman; GC-FTIR; TGA-FTIR; LC-FTIR; GPC-FTIR; direct-evolved gas analysis -FTIR; SFC-FTIR; variable temperature/variable pressure FTIR microscopy; dual-sample comparitive spectroscopy; Raman microscopy and special application products. The company's products cover IR, near-IR, Far Infrared, VIS, and UV optical ranges. Short Business Description: Acktar black coatings is manufactures the blackest black coatings to enhance emissivity, outgassing and stray light control abilities for any project with possibly the best prices! A world leader in black coating services and thin film production. Our products aims to give materials and opto-mechanical parts high absorptance & high emissivity for stray light suppression in high performance optics. We develop, industrialize and produce light absorbing Black coatings based on advanced and fast vacuum deposition technologies. Black coating services: Choose one of the most suitable coating services for a wide variety of substrates as metals, ceramics or polymers. 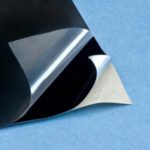 Black foils and films: Order a tiny package of self adhesive black foils or films or get a whole roll of black coating film with outstanding optical performance. Blackened opto-mechanical components: Find Light traps, light trapping panels, noise reduction extension tubes, superblack precision pinholes and air slits, laser beam dumps and more. Active Spectrum manufactures magnetic resonance spectroscopy solutions based on our patented Micro-ESR (electron spin resonance) technology. We design and distribute the world's first and only purpose-built on-line ESR spectroscopy solution. We offer a full line of miniature electron spin resonance spectroscopy products (ESR / EPR) in both Benchtop (now also available with extended range magnet) and Online configurations, along with custom accessories and industry-specific chemical analysis solutions.Admesy offers a broad range of test and measurement instruments focused on colour and light measurements in inline production process environments. All products are developed and produced in-house based on a long history of inline testing. Please contact Thomas Wohlbier at t.wohlbier@mrforum.com for comments, suggestions or if you would like your company listed and need help. The directory contains information obtained from authentic sources including company’s websites. Reasonable efforts have been made to publish reliable data and information, but the listing authors and publisher cannot assume responsibility for the validity of all materials or the consequences of their use. The listing authors and publisher have attempted to trace the copyright holders of all material reproduced in this directory and apologize to copyright holders if permission to publish in this form has not been obtained. If any copyright material has not been properly acknowledged please write and let us know so we can rectify this.